MPEG DASH has widely been described as “the future” of streaming and both “essential” and “inevitable” for OTT operators. But is it really the Holy Grail of internet-delivered content? The answer is: not yet. Sure, using MPEG DASH offers the possibility of significant cost savings for operators aiming to reach the maximum number of device types. They no longer need to create and store multiple streaming formats to reach multiple screen types. But with Apple still stubbornly requiring its own HLS streaming format, the goal of universal compatibility for DASH remains frustratingly incomplete. A glimmer of hope came in 2016, with rumors of DASH compliance being added to iOS. Inevitably, the reality is a little more complicated. Apple actually added support within HLS for the Fragmented MP4 (fMP4) files specified by the Common Media Application Format (CMAF) which is also compatible with DASH. While this isn’t the same as iOS support for DASH, it’s the next best thing. Operators can now use the same fMP4 files for ALL OTT devices, including iOS. They still need separate manifest files for HLS and MPEG DASH, but each points to the same video. Creating and storing an extra manifest is much cheaper and easier than duplicating video containers. So why isn’t it the Holy Grail for OTT? Well of course there’s a catch. In this case, it’s encryption. As HLS added fMP4 support, compatibility issues between devices simply switched from the video container to the encryption format. CMAF is a great option for “in the clear” files, but most OTT operators use encryption to protect the content that attracts viewers and revenue. The problem is that Apple’s FairPlay DRM uses AES 128 CBC encryption, while all the other common DRM technologies, including Microsoft PlayReady use CTR. You can’t encrypt the same video file using two different encryption methods at once, so operators must still create and store duplicate fMP4 files: encrypting one with CBC and one with CTR. The cost and operational benefits of using a single video container have immediately vanished. 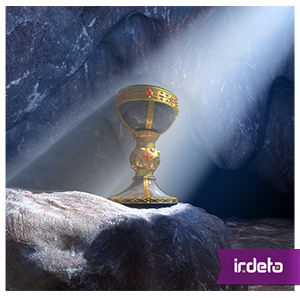 We are closing in on the Holy Grail, yet still far away. Microsoft or Apple: who will blink first? Google’s Widevine and Adobe’s Primetime have already added CBC support, which just leaves PlayReady. Microsoft has “no plans” to support CBC in the short or medium term. So we are left waiting and wondering which technology giant will back down first: Apple or Microsoft. Going on past experience, my money’s on Microsoft to follow Google and Adobe in adding CBC support. But it’s not going to happen quickly. In the meantime, the OTT Holy Grail remains elusive and CMAF will be of limited use to operators unless all their content is in the clear. This entry was posted in Media & Entertainment and tagged CMAF, Common Media Application Framework, DRM, Fragmented Mp4, Irdeto, MPEG DASH, OTT. Bookmark the permalink.